MAGNETIC GREY ST-LINE with DRIVER ASSIST PACK - NOW WITH UNLIMITED KMS 5 YEAR FACTORY WARRANTY from date of first rego FORD FOCUS ST-LINE HATCH 1.5L PETROL 8SP AUTOMATIC (Magnetic (Grey)) DRIVER ASSIST PACK - RACQ Membership and roadside assistance INCLUDED. - FORD SERVICE PRICE PROMISE for 7 years. - 5 Star ANCAP Safety Rating. 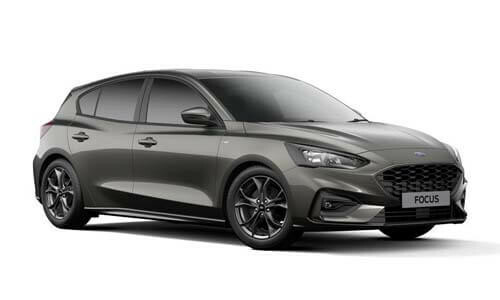 I'm interested in a Used 2018 MY19 Ford Focus SA ST Line Hatch Hatch (stock #S3N5).